Classes are located at the Adirondack Lakes Center for the Arts at 3446 State Route 28 in Blue Mountain Lake unless otherwise indicated. To reserve your spot in class, please call the Arts Center at 518-352-7715 or click on the provided links. Saturday, June 8, 10 - 2 p.m.
1) What is a mushroom? A discussion about the life cycle and characteristics of edible mushrooms. 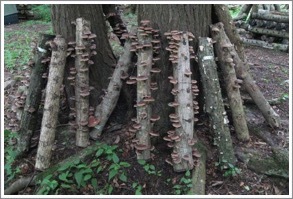 2) Inoculating hardwood logs(provided) to grow shiitake and oyster mushrooms at home, outdoors. Each participant will take two inoculated logs home to monitor the processes that logs go through to produce mushrooms and they will continue to produce for 2 or 3 years in a row if a suitable habitat is provided. 3) Discussion and demonstration of growing gourmet mushrooms at home, indoors. Saturday, July 13, 1 - 4 p.m.
Open to children and adults. Channel your frustrations and stress into art! In this class we will learn the easy art of printing flowers and leaves direct from nature by pounding the plants with a hammer. You can pound on fabric to create a table runner, a hanging, or quilt squares. You can pound on paper to create cards or prints for hanging. Or think up your own products! Bring a hammer if you can, freshly picked leaves or flowers if you wish, and your imagination. Saturday, July 27, 1 - 4 p.m. This class is perfect for those interested in learning how to properly and creatively mat and frame your own artwork without spending a fortune. Indian Lake artist Al Pouch will teach you how to cut a mat, assemble, and finish a pre-made frame using archival material. Pouch, a photographer and graphic artist, has been framing his own art, as well as artwork for colleges, professional offices, retail establishments, and lodging accommodations, for more than 30 years. 5" x 7" 9" x 12" or 11" x 14"
8" x 10" 12" x 16, 14" x 18" or 16" x 20"
Saturday, August 3, 12 - 4 p.m. Creating your work is the (so-called) easy part. Writing your artist statement, for exhibitions and websites, is the challenge. Why are we creative people so in-articulate when it comes to telling about ourselves and our work? 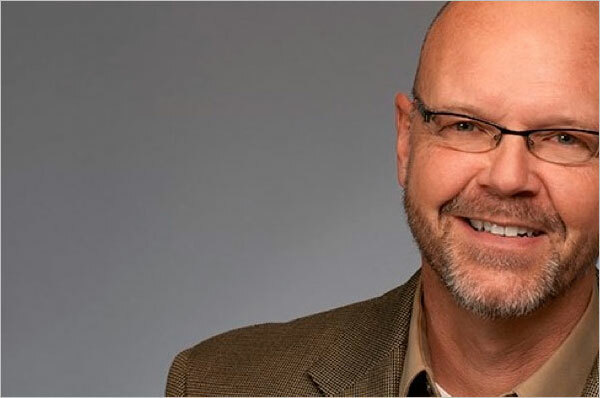 David Hazard has been coaching artists and authors for 40 years, helping them to create powerful statements about their work for marketing and promotional purposes. 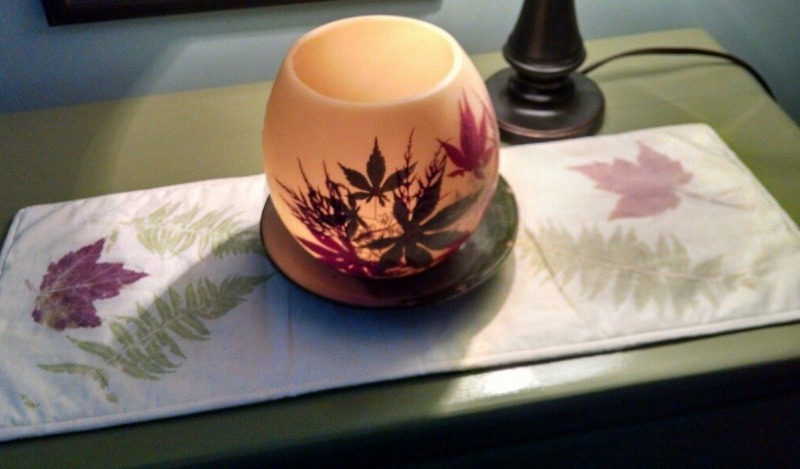 His clients have had exhibitions in galleries throughout the U.S. In this two-part session (we will have a break! ), you will learn how to get to the core energies and motivations that drive you to work in the medium/s you do, and choose the subjects and treatments you choose. You'll also learn about your most likely audience - those most interested in your work - and how to understand their connection to you. The goal is to help you produce an artist statement that will link you to collectors who will not only like a given piece (and take it home), but to track with you a long time because they feel connected you. 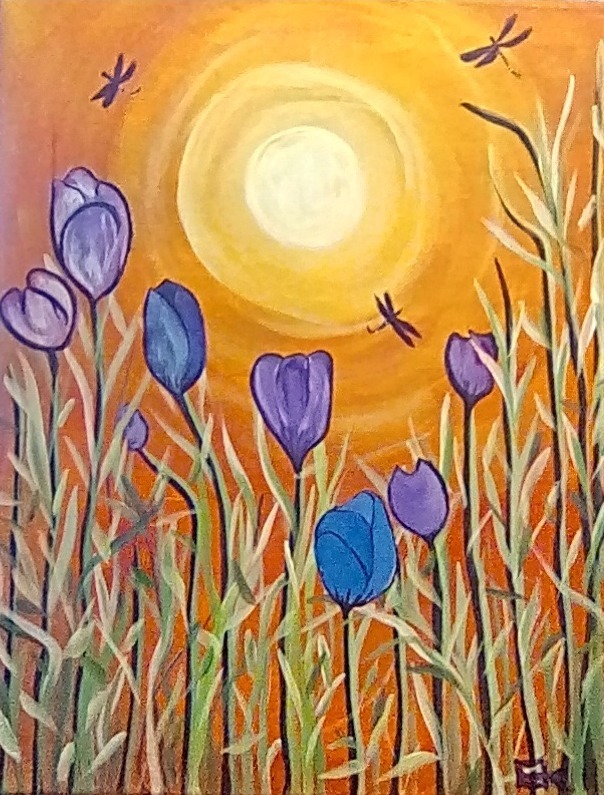 Saturday, August 24, 1 - 4 p.m.
Painting on canvas. Canvas is 12 x 12. We will sketch out our theme, then apply acrylic paint. You will learn different brushstrokes and learn how to blend your colors. 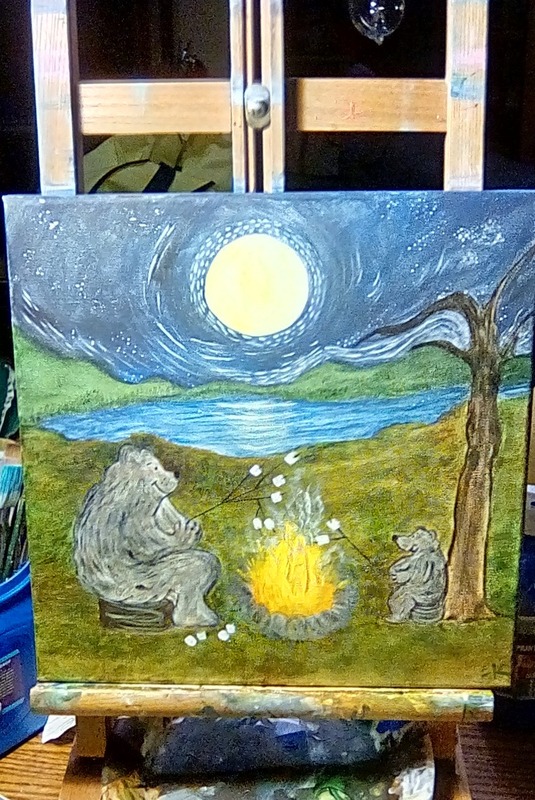 You will create a whimsical painting staring Momma bear and baby. Saturday, September 14, 1 - 4 p.m.
Painting on canvas. The canvas is 11 x 14 using acrylic.You will learn to create this painting with your brush stroke. Free flow with painting.You will learn to blend colors and use your imagination. Saturday, September 21, 1 - 4 p.m. 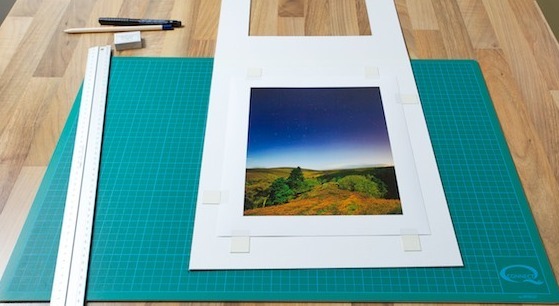 Learn how to photograph your artwork on a shoestring budget. Saturday, December 23, 10 - 4 p.m. 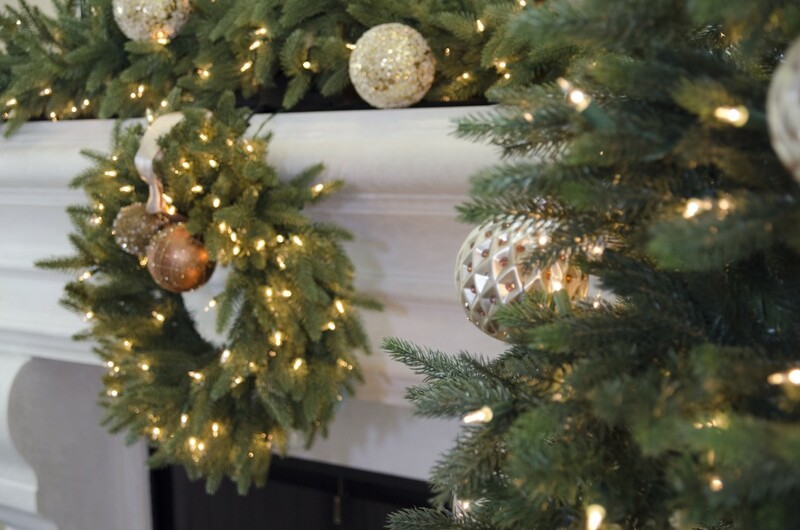 Spend the day making Balsam wreathes, garland, and pillows to decorate your home for the Holidays. Please bring a dish for a pot luck lunch.